The Division of Molecular and Cellular Function performs discovery research using a wide range of eukaryotic model systems and state-of-the-art technologies. Our work provides fundamental insight into aspects of cell behaviour that underpin the development of innovations in biotechnology, biomedicine, health and wellbeing. We support interdisciplinary research and work closely with staff from all schools and divisions within the Faculty of Biology, Medicine and Health. 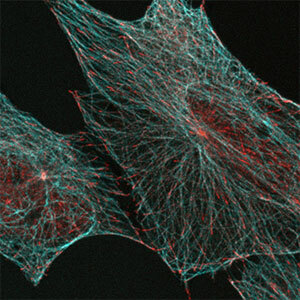 Differentiated cells can be defined by the genes that they express and the functions that they perform. 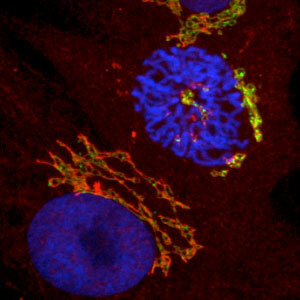 In humans, pathological states seen in disease and stressful environmental changes such as infections often lead to altered patterns of gene expression that modify cell fate. Molecular understanding of signalling to chromatin and the mechanisms that underpin changes in gene expression are often a key driver of disease development and progression. While altered patterns of gene transcription correlate with the potential to re-programme cell fate it is also clear that the control of RNA stability and protein synthesis and turnover are fundamental to normal cell function. The efficacy of mechanisms that regulate RNA and protein metabolism and quality control are critical determinants of cell fate. Knowledge of these systems is relevant in biotechnology, ageing and disease. Cell in tissues are continually responding to changes in their environment in order to fine-tune metabolic control, tissue specific function and systems level homeostasis. The signalling and metabolic networks that regulate cell function are complex and highly integrated and in many cases subject to sophisticated spatial control. Molecular mechanisms that define the dynamic properties of protein complexes and membrane vesicles are essential for many aspects of cell behaviour. 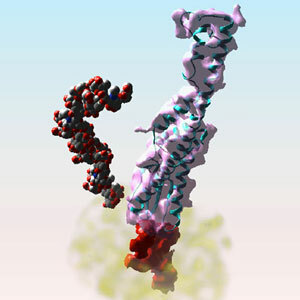 As well as these key areas of molecular and cellular biology, PIs in the Division are working on a range of advanced techniques in structural biology. They are using a wide range of model systems, including eukaryotic micro-organisms and plants, to study fundamental mechanisms of cell behaviour and how these can be applied in biotechnology. Determining a Novel Pathway that Controls TGF-Beta Activation in the Immune System. Flexible docking in maps--From EM to crystallography. BBC NEWS ONLINE: Could height be a cancer risk?